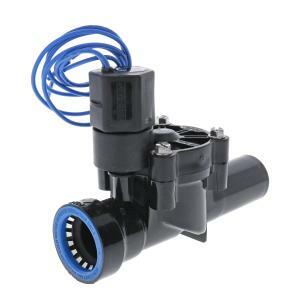 This model of the HRP 100 Push-Fit valve is for use with 1" Blu-Lock® Sprinkler Pipe on the outflow side for the fastest and greenest irrigation installation process ever. Use the easy PVC-Lock Manifold Tee on the inlet side of this valve for convenience and ease of repairs with no parts to glue in place. Everything you do from the valve out, you can now do with Blu-Lock. With the Blu-Lock system you don't need primer, glue or clamps. *Please Note: Wire color may vary from time to time.